“The technologies that are in 1984 now seem unimaginative and quaint… 1984 is an important book, but we should not bound ourselves to the limits of the author’s imagination. 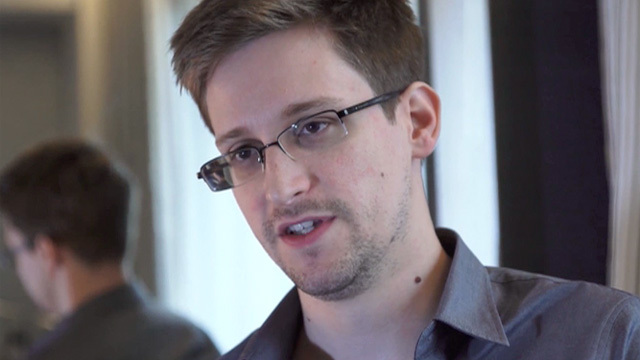 Times have shown that the world is much more unpredictable and dangerous than that.” Edward Snowden speaking in recent video interview with Guardian journalists. It is over a year now since the first documents obtained by Mr. Snowden while working as a contractor for the NSA were released to the public. 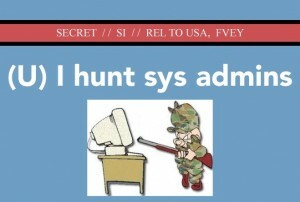 These have shocked the world by showing the extent to which the United States’ National Security Agency, the most powerful and all reaching spy organization in the world, monitors just about everybody’s every email, phone conversation, SMS messages, and every website they visit, harvesting this huge amount of information and storing it for future reference. Here at IronSocket we’ve seen many online comments protesting that everyone has a right to privacy, with many people quoting the oft-touted notion that ‘if you have nothing to hide then you have nothing to fear’ contradictory to our most fundamental human rights. Unsurprisingly, many netizens out there agree with this, and the use of privacy enhancing technologies has soared in the last year. Part of Snowden’s genius was handing all the files he had obtained to journalists such as Glen Greenwald, who staggered their release to the public in such a way that they still continue to shock us, refusing to be simply be forgotten about and becoming yesterday’s news. Just in case you have forgottenhow bad these revelations seem, here are what we feel are the ten most eye-opening of Snowden’s revelations. 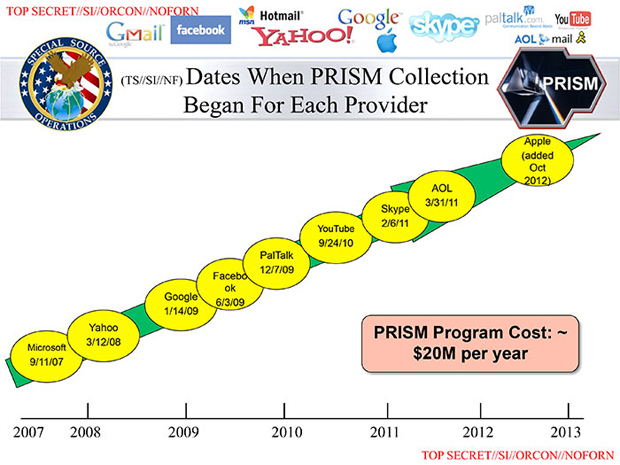 Snowden’s opening salvo was his revelations about the NSA’s PRISM surveillance program. 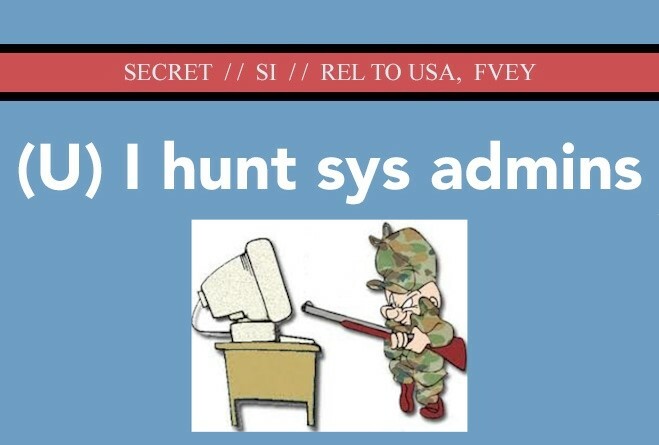 Under this program the NSA collected vast amounts of data from Google, Microsoft, Apple, Facebook, Skype, and various other major tech giants, with the purported aim of identifying and tracking terrorists and other foreign nationals ‘of interest’. Operatives from the NSA’s Special Source Operations unit can search through a target’s audio and video calls, emails, and documents, and the information is used as the primary source for daily White House intelligence briefings. 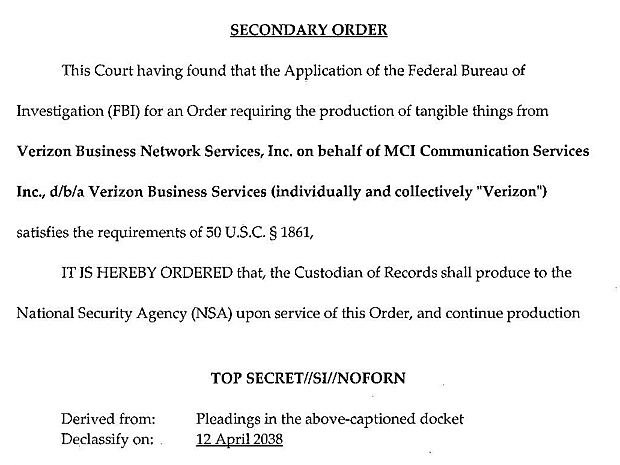 In clear violation of the US Constitution’s Fourth Amendment, the NSA collects metadata (when, where, to whom, by whom) from all telephone calls into and out of America, even when this data relates to US citizens who are suspected of no crime. Because it directly affects US citizens this revelation caused a major stir at home, and prompted President Obama to promise reform. This came in the form of the USA Freedom Act, but this was so watered down when it passed, that most of its civil liberties sponsors withdrew their support ahead of the vote. 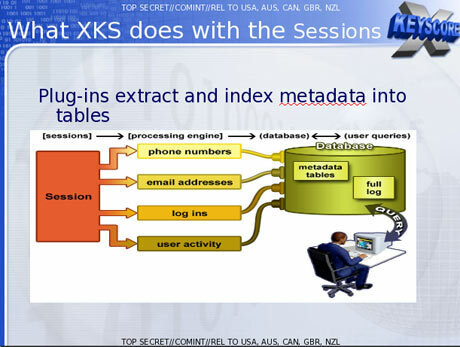 Xkeyscore is the “widest-reaching” NSA tool, which collects “nearly everything a user does on the internet.” More specifically, it allows NSA staff to shift through their vast trove of collected information, including emails, browsing history, online chats and any other form of internet use, using metadata to identify targets. Legal justifications for why an individual is targeted can then be selected from a handy drop-down menu. The amount of data collected by the Xkeyscore program is so vast that most of it is deleted after a few days. 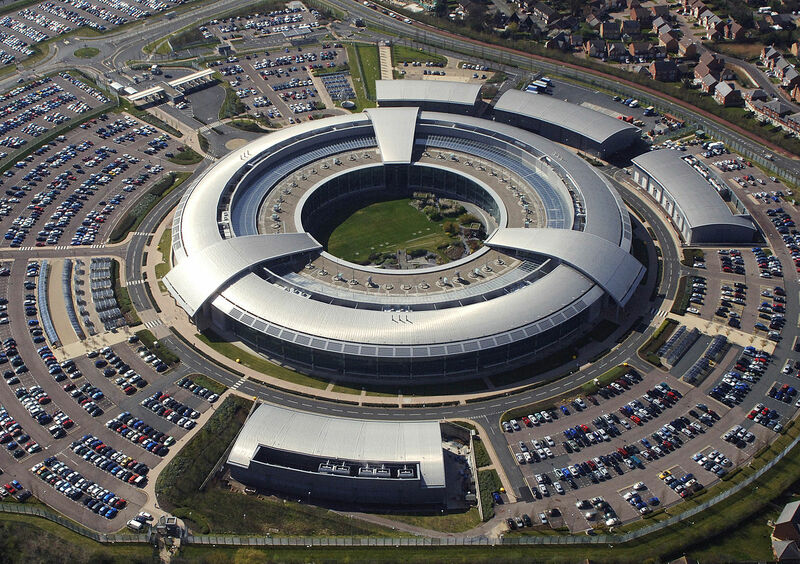 The Tempora program is run by the NSA’s UK sidekick, GCHQ, which then shares any data of interest in the vast sea of data this program hoovers up with the NSA. This data, which again includes emails, web browsing histories, online chat sessions etc., is obtained by tapping the transatlantic and regional fiber-optic data cables that pass in and out of the UK. 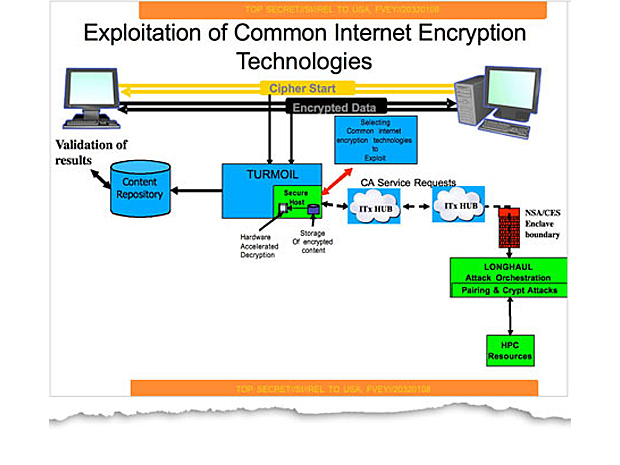 One thing the NSA hates is encryption, as good encryption stands between it and the data it craves. Ever since the Bill Clinton administration’s public attempt to require that all encryption technologies have a back door built into them that would be made available to US security services failed in the 1990s, the NSA has worked tirelessly to achieve this aim through stealth and secrecy. 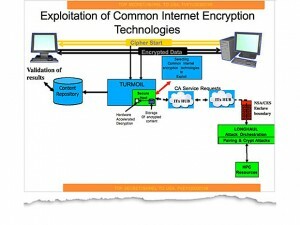 Methods used include building back-doors into encryption algorithms, forcing vendors to hand over encryption keys, and even bribing companies to accept deliberately weakened encryption standards. A staggering $53 million a year (20 percent of the NSA’s $250 million annual budget) is spent on cryptographic operations. 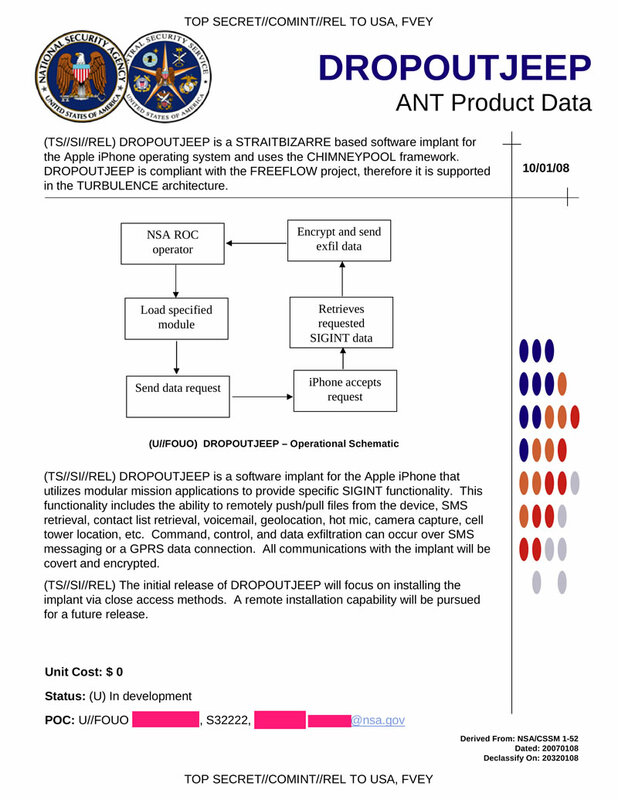 The NSA is able to collect data from any iPhone, Android phone or Blackberry. 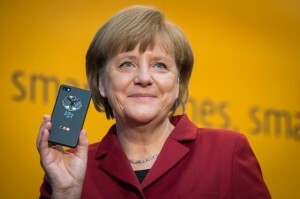 Although it seems that bulk collection of smart data is not performed, it is clear that, as German Chancellor Angela Merkel discovered, the NSA can target any specific smart phone they like. As Der Spiegel reported, “If the intelligence service defines a smartphone as a target, it will find a way to gain access to its information.” In addition to this, the NSA can gain direct access to messages sent via Blackberry’s Enterprise Server (BES). 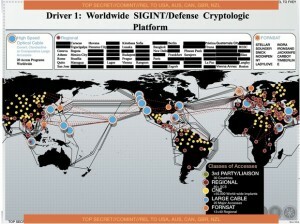 The NSA’s Tailored Access Operations (TAO) department specializes in targeting individual computer systems. 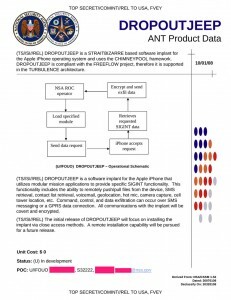 One of its more active measures was to deploy ‘Computer Network Exploitation (CNE)’ – known within the NSA as ‘implants’ – across many thousands of networks worldwide, with the aim of subverting routers, firewalls, switches (and more), so that data transmitted to these devices is routed to the NSA. According to one slide obtained by Mr. Snowden, over 50,000 computers have been infected by this malware – something made all the more worrying by the fact that it can act as ‘sleepers’, capable of remaining dormant and undetectable for years until the NSA decides to turn them on. 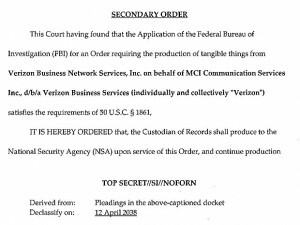 We have already brushed on how the NSA bribed RSA to weaken encryption standards in its most commonly used product, and it seems likely that the major US tech companies also cooperate on some level with the NSA. Google, Facebook, Microsoft, Apple etc. all vehemently deny this of course, but there are strong reasons to be suspicious. Again, we have already brushed on this, but the NSA has spied on at least 35 world leaders, including German Chancellor Angela Merkel, Brazilian President Dilma Rousseff, and former president of Mexico, Felipe Calderon. The NSA is the largest, most well-funded, and powerful spying organization in the history of the human race, so if they have you their sights then there is probably little you can do about it. However, by encrypting every part of your digital life you can go a long way to preventing the blanket spying on about everything you do. When using IronSocket VPN you encrypt your internet connection between your computer and our servers, while also masking your true IP address, which helps you to protect your privacy from anyone listening in.